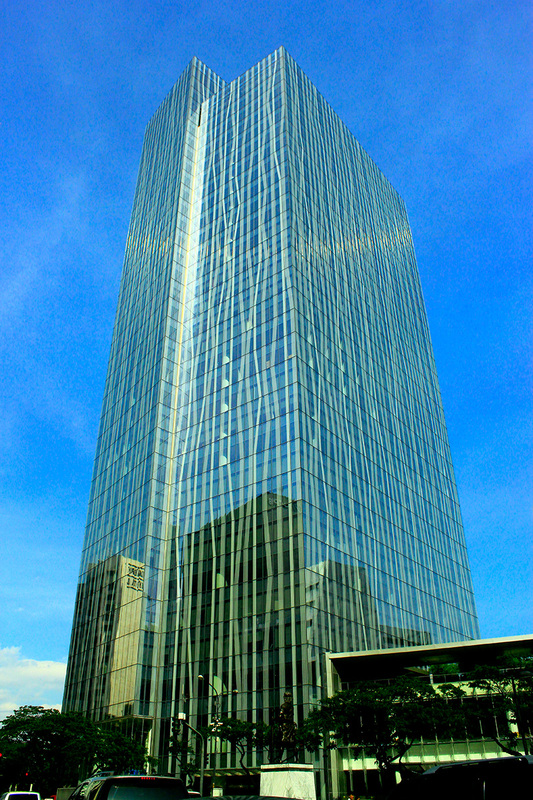 Located at Makati Avenue corner Paseo De Roxas Avenue, Makati City, Philippines. There are two lots of 4,601 square meters and 1,856 square meters or a total site area of 8,285 square meters. Construction floor area will be about 90,000 m² inclusive of 24,000 m² for parking. Cumulative Office Floor Leasable Area to Gross Efficiency ratio at a minimum of 85%. Should have the flexibility and quality that Fortune 500 companies continually require. Floor plate size for office floor levels between 1,500 m² to 2,000 m². Each floor can be divided into 4 to 8 leasable units. Column free office space; perimeter columns shall be flush to the backside of the curtain wall. Separate elevator lobbies for individual zones serving the office floors. Regularity of office floor plate (rectangular or square). Meinhardt has provided complete Civil & Drainage System, Structural, Mechanical, Electrical, Plumbing, Fire Protection and Elevator Engineering Design Services.